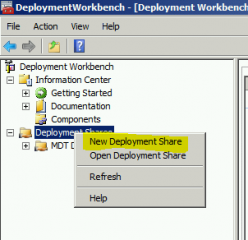 In the previous post, we have seen how to take advantage of WDS component when using MDT 2013 deployment solution on a Windows 2008 R2 server. 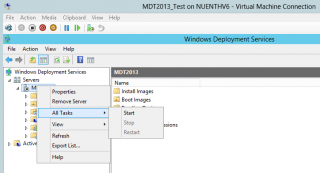 In this post, we will show you how to perform the installation of MDT 2013 while using the WDS component of Windows 2012 R2. 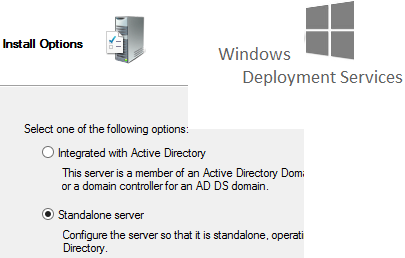 In Windows 2008 R2, you could already implement such configuration but you needed to perform some additional actions in order to configure the WDS Server to work in a standalone configuration. 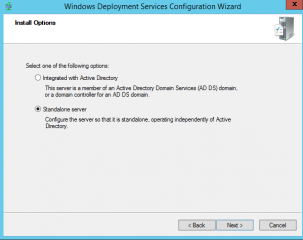 In Windows 2012 R2; WDS can be installed in a stand alone configuration or as part of an active Directory Domain. 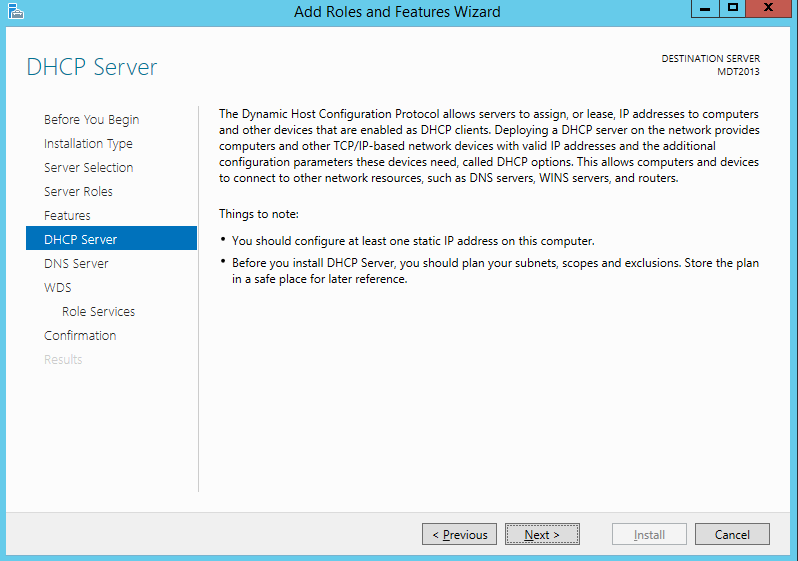 This change in the WDS Server component makes things simply easier. 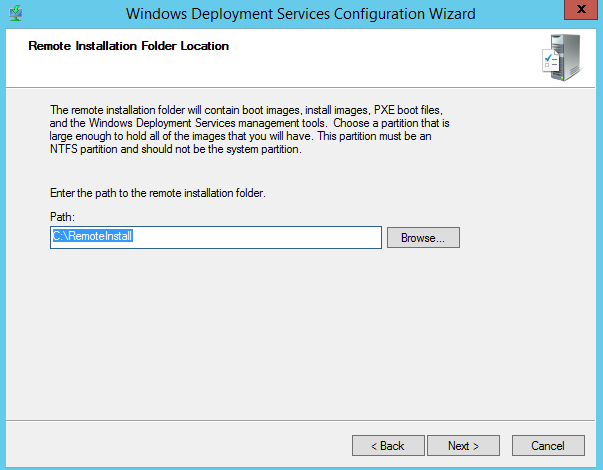 Let’s see how you can combine, MDT 2013, WDS and Windows 2012 R2 to obtain a re-usable deployment solution. 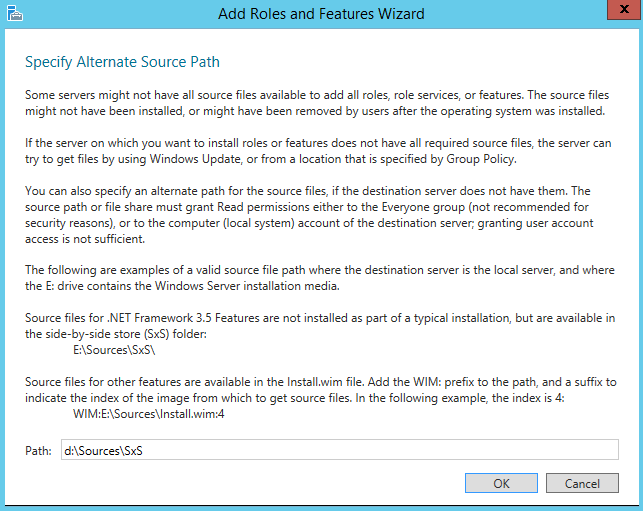 In the confirmation page, if you have selected the feature framework 3.5 to be installed, click on the link specify an alternate source path. Follow the instructions on the screen and press Close when operation are completed. 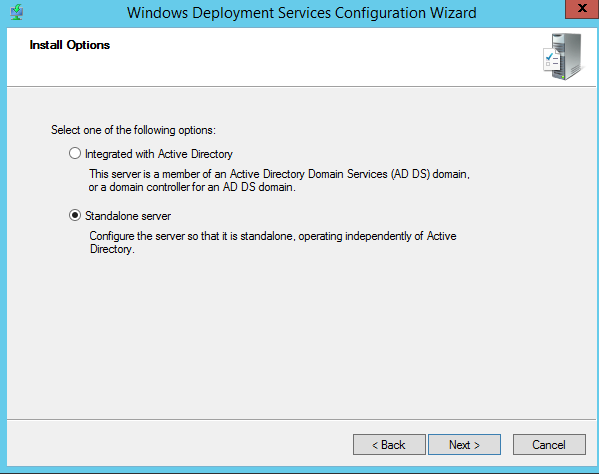 In the past, WDS had strong dependencies on Active Directory. In Windows 2012 R2, these dependencies are gone. 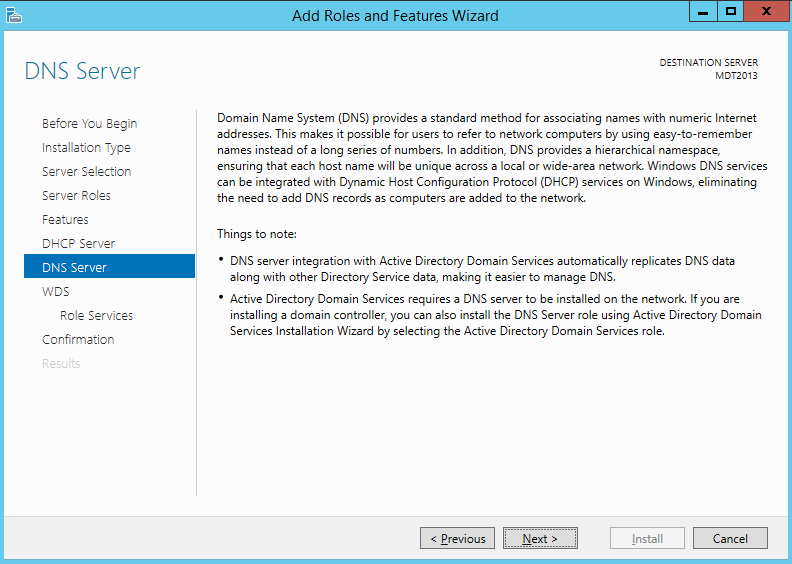 You can setup a standalone WDS Server through the GUI. This is a nice improvement from Microsoft. 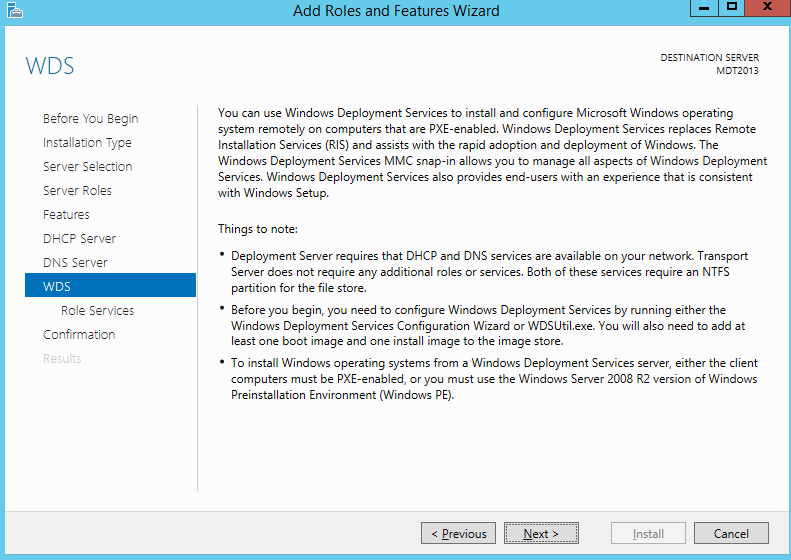 Basically, WDS is offering the TFTP functionality that MDT was missing (in standalone configuration). 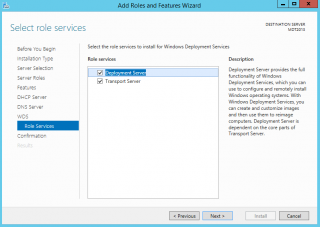 With Windows 2012 R2, using only built-in tools/software you can build your deployable MDT server. This is great, isn’t it. 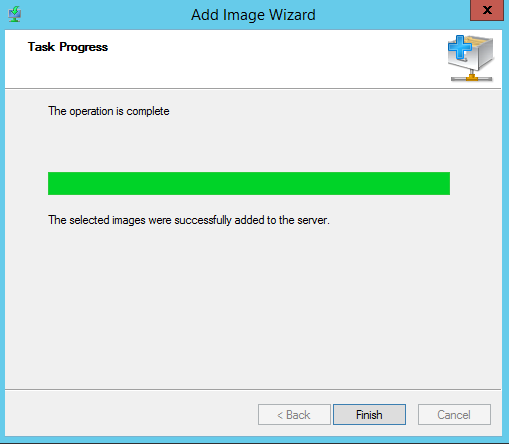 In the Task Progress page, wait for completion. You will probably see the message : service didn’t respond to the start. This is expected. 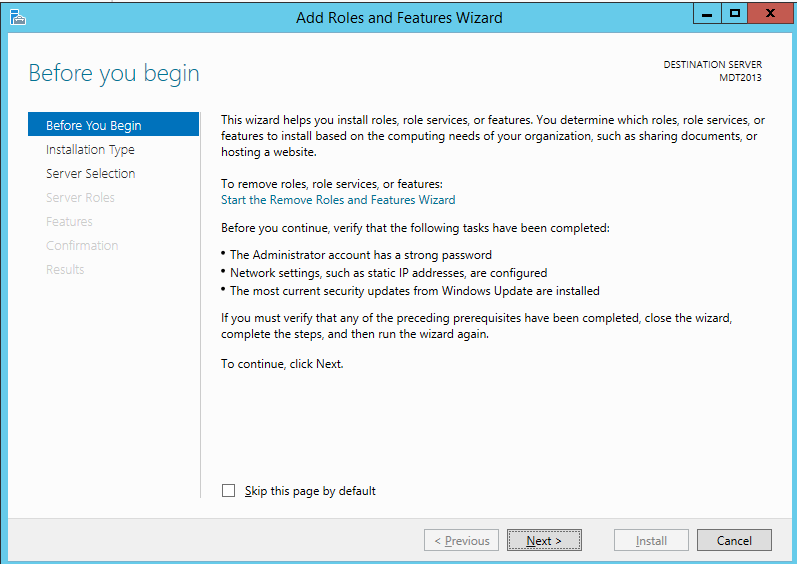 In the WDS management console, right-click the server, select all tasks and select start. 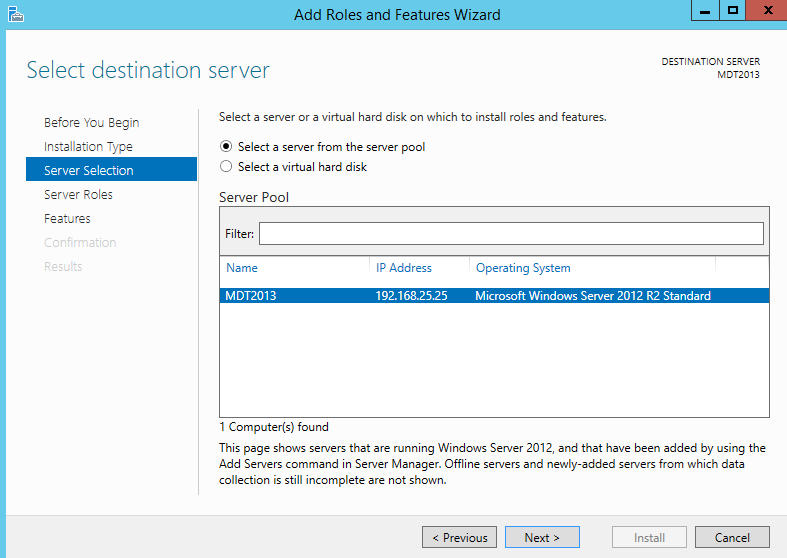 You WDS Server is almost ready to be used. 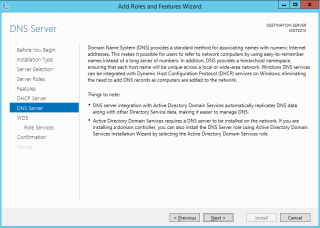 Because we are in a standalone configuration, you might need to create the DNS namespace you want to use. 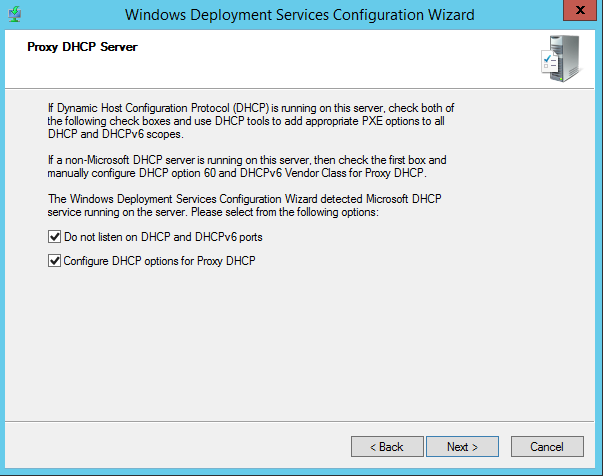 For the DHCP, you will need to create your scope. 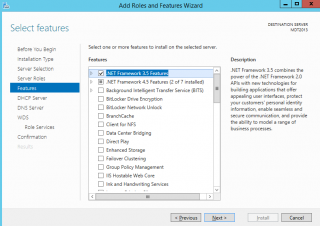 You do not need to specify any special options (in this scenario). 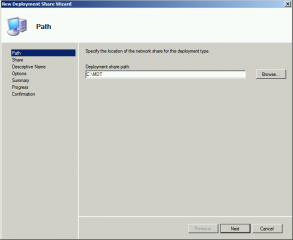 Complex network configuration might require you to use option 066 and option 067 to be able to locate your TFTP/PXE server. 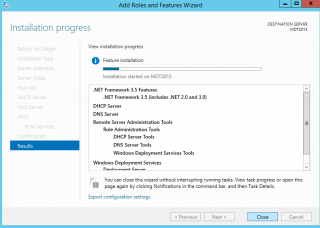 Step 4 – Installing MDT 2013 on your computer. 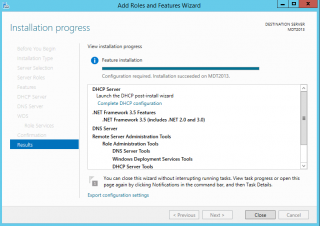 In this post, we have already described how to perform the installation of the MDT 2013 software. The process is quite similar. You will first install the MDT 2013 package. 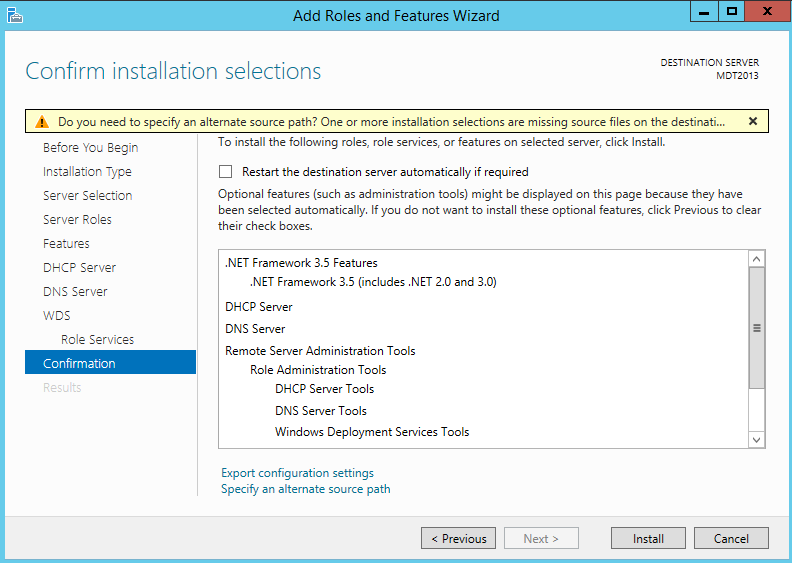 After installing it; you will need to download and install the ADK package. Because we simply want to demonstrate that MDT 2013 infrastructure is working, we will simply create a “empty” Deployment Share. We will not import drivers and operating system right now. 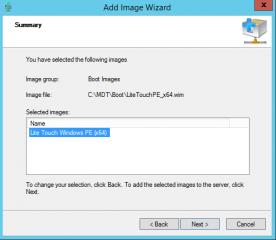 We will simply create the deployment share structure and generate the LiteTouch_PE.wim files. 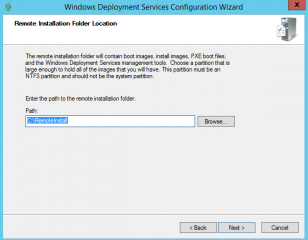 In Step 5, we have generated the bootable wim files used by MDT to automate the deployment. 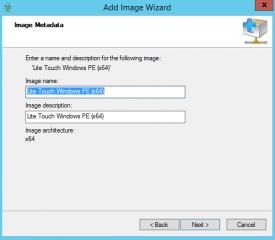 They are located in \\<%deploymentShare%>\Boot\LiteTouchPE_xx.wim. 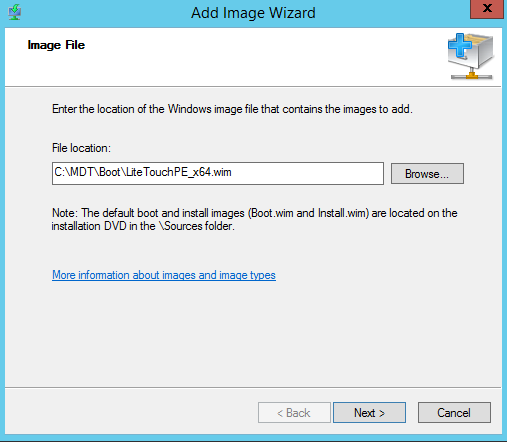 Now, we need to tell the WDS where to find the bootable images. This is done through the WDS Console. 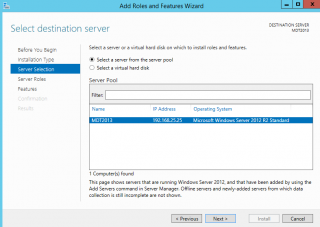 Open the WDS Management Console, Expand the server and select the Boot images node. 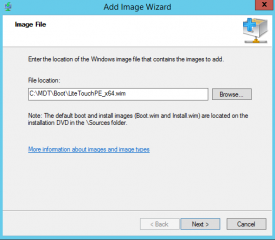 Right-click on it and select add boot images. 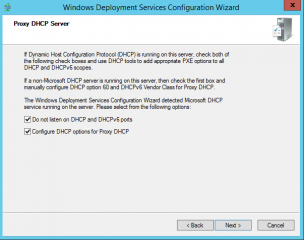 To test your configuration, simply boot a pxe enabled client and you should see that the client will request the dhcp address and connect to the WDS server. 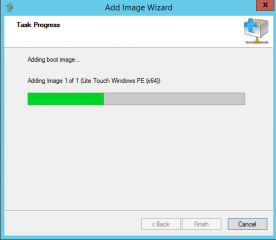 You will need to Press F12 in order to have the boot image downloaded to the client. 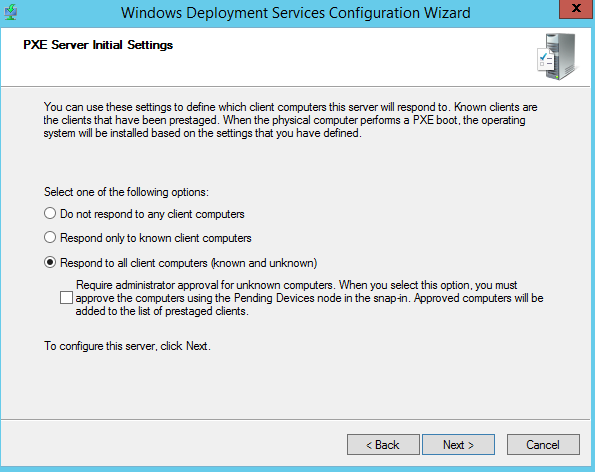 At this stage, the client will boot in the WinPE environment and execute tasks defined through your MDT task sequences. 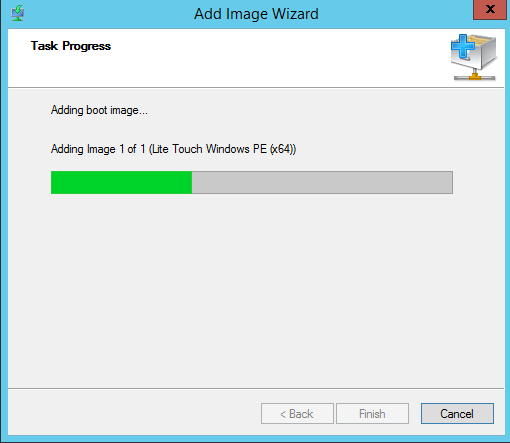 I really like the new features and improvement available in Windows 2012 R2. 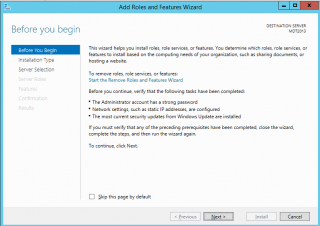 As you have seen, the change in WDS role make it possible to have a standalone deployment solution. 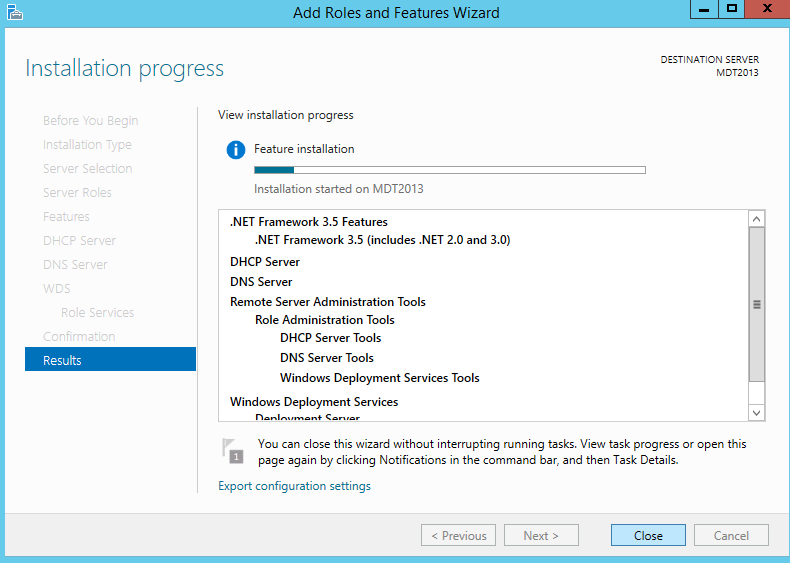 Out-of-the-box, you can quickly have a ready to go MDT 2013 infrastructure. thank you so much for this good article. 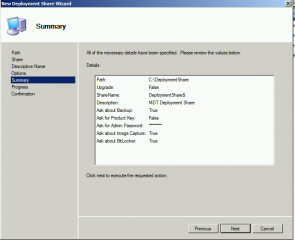 What I have to do, that this didn´t appears again! 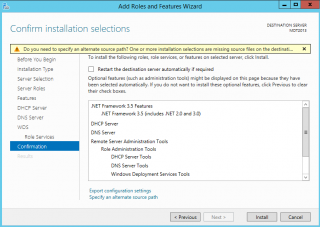 I know that in WDS I have to set the pxe guideline, but I want that it´s set automaticaly. I’m not sure to understand your question.. What’s not working ? 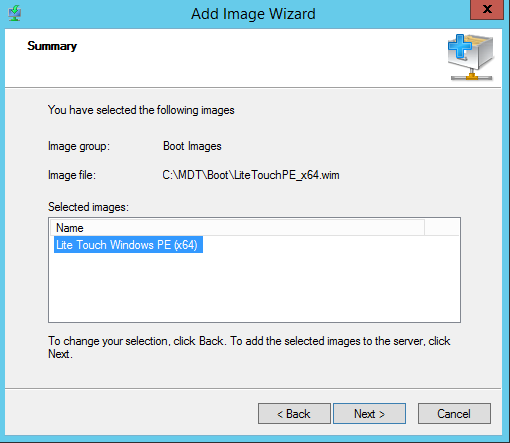 PXE or your boot image ??? 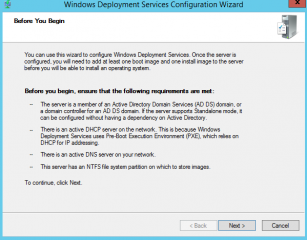 My problem ist a boot loop, because of the WDS-Server. 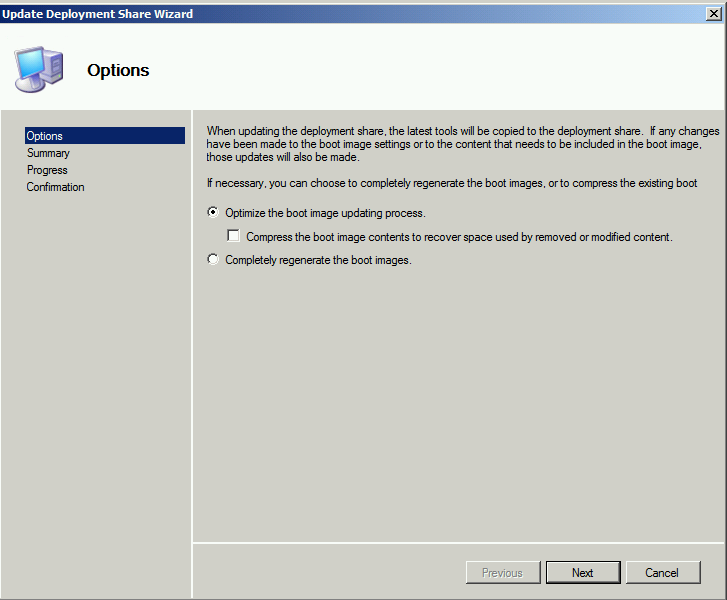 When my boot Image is created, I´m importing it to my WDS-Server that I can start an Installation. After, the OS had installed on the computer, the computer restarts and the installation process agains. 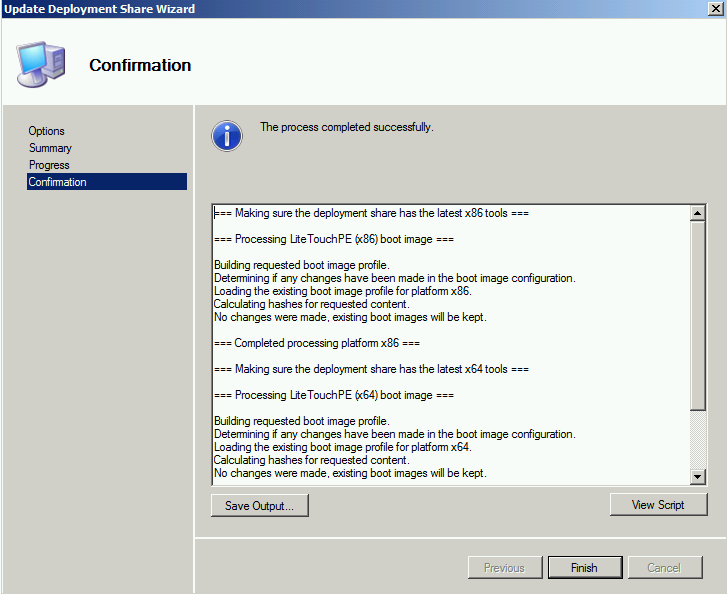 My problem is, that we´re using this setting: “Always continue the PXE boot”. We have 150 computers, and there are have to install automaticaly. 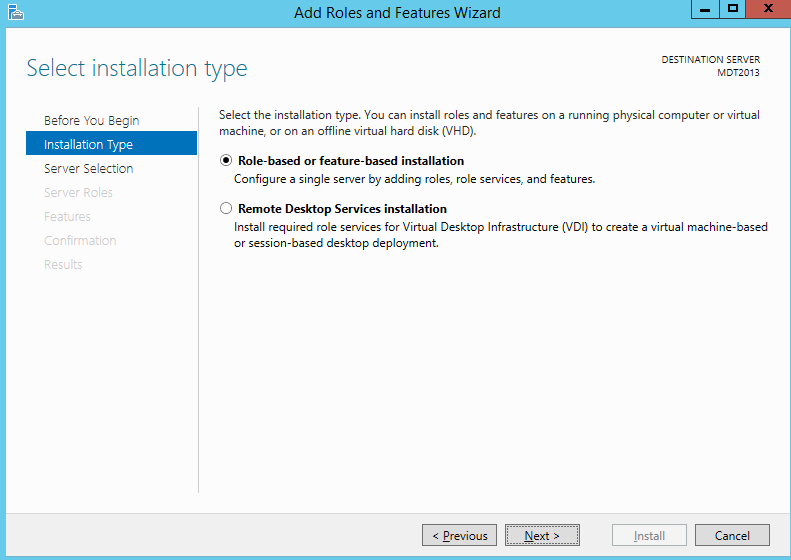 I want that this setting, is setting back to “Use PXE promt policy from server” or to “Never PXE boot”. I hope that you are understanding me and that you can help me. 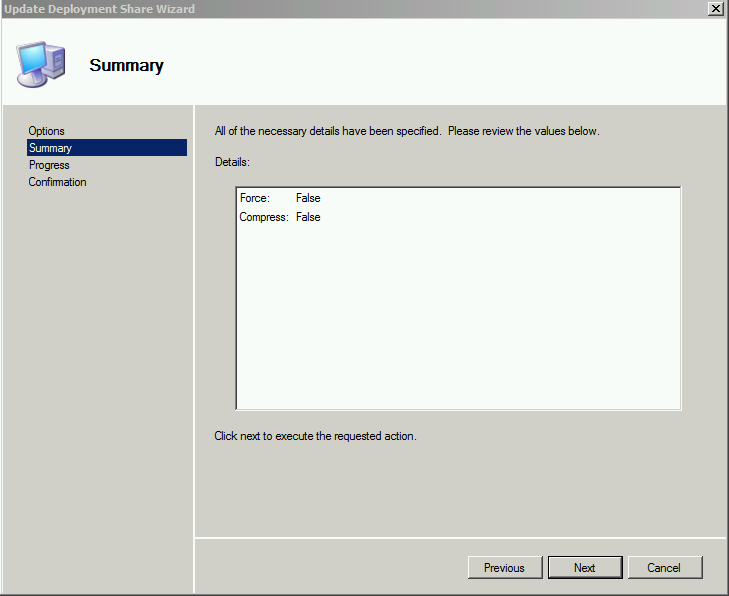 Value: 0 or not set means no action. 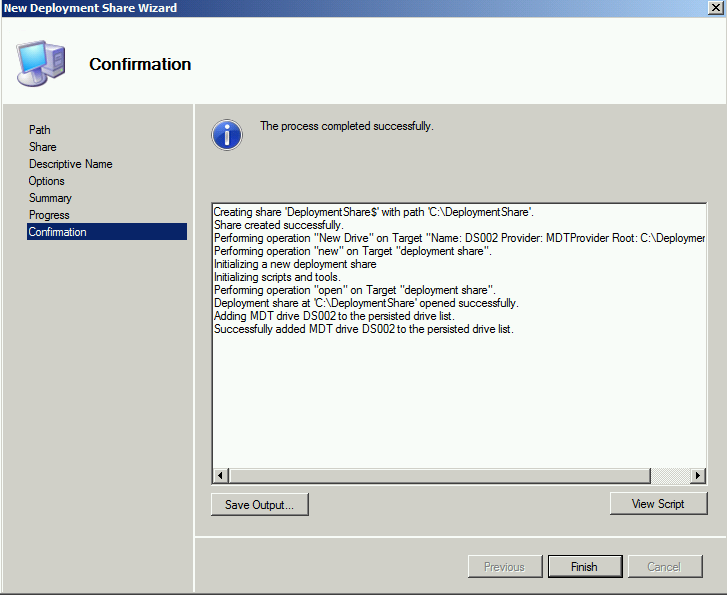 1 means that during the imaging process, the value stored in the netbootMachineFilePath attribute in AD DS for the prestaged device will be cleared. 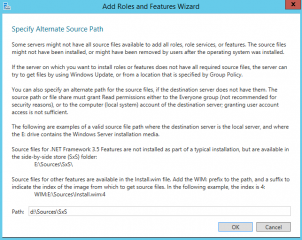 The value for the referral server is also stored in the netbootMachineFilePath attribute. 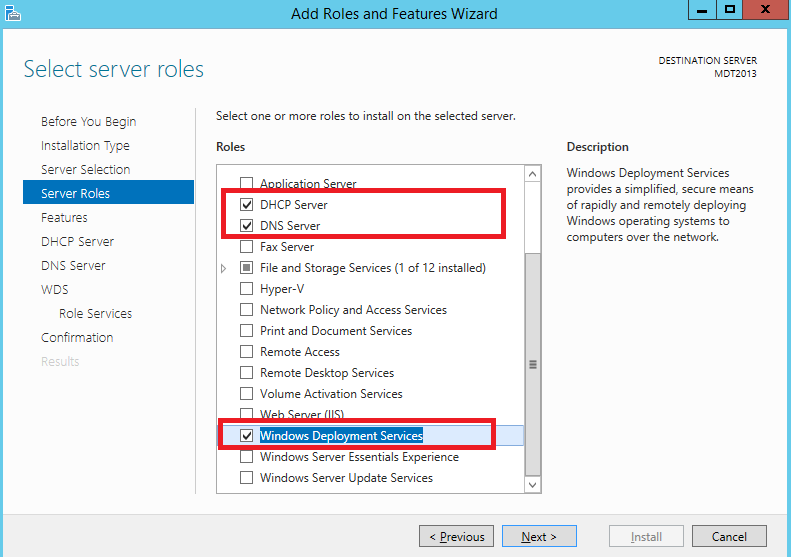 Therefore, when you specify 1 and this value is cleared, any server in the domain can answer the client the next time it reboots. 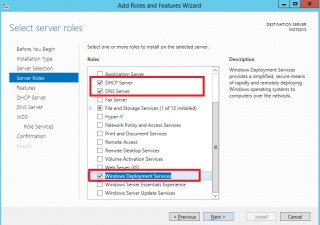 Using this option ensures that on the next boot, the computer will receive the default server NBP (commonly the .com version). 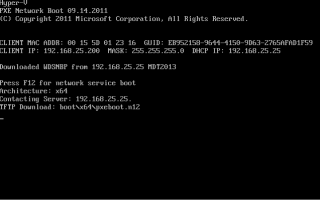 Therefore, the computer will try to boot from the network (because the network is listed first in the BIOS boot order), but the computer will be sent the .com NBP. 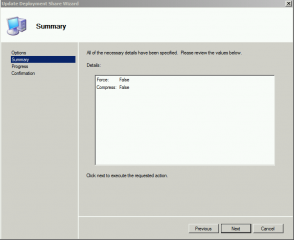 After allowing sufficient time for the user to press the F12 key, this option will time out and the device will boot from the hard disk drive. 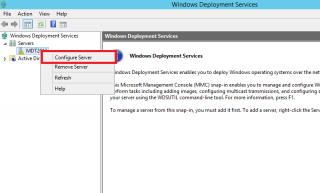 The value is cleared after the image is applied, as one of the final actions performed by Windows Deployment Services. 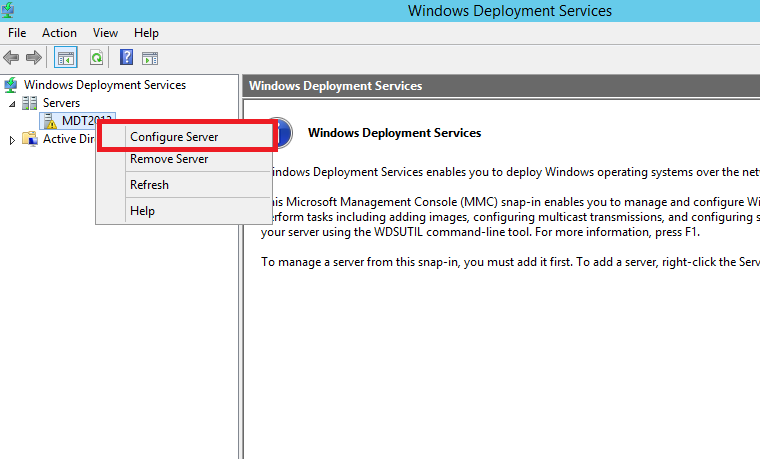 The value is cleared after the image is applied, as one of the final actions performed by Windows Deployment Services. My problem is that exactly this didn´t work for me. 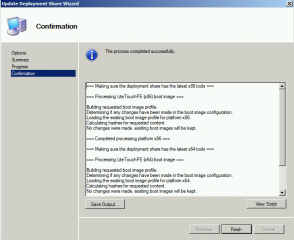 The value isn´t cleared after the image is applied. 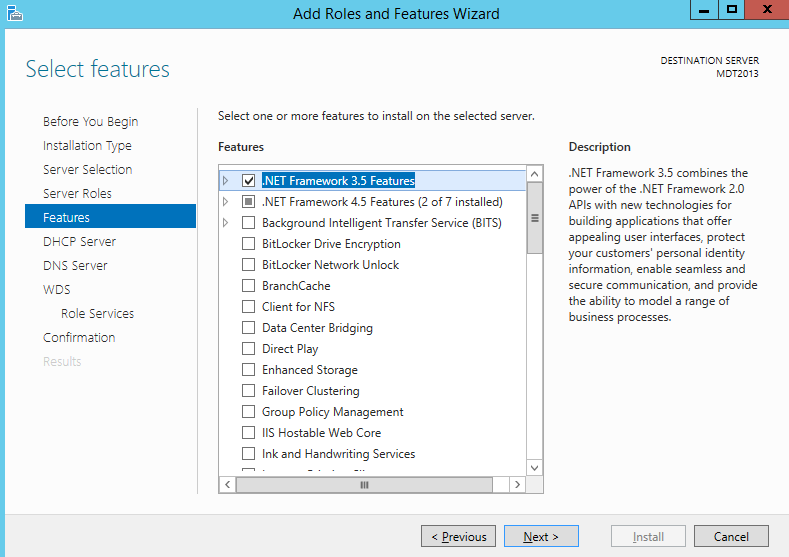 the registry key will not be cleared…it’s the Active Directory attribute (netbootMachineFilePath attribute in AD DS) that will be cleared…..(technet extract again). 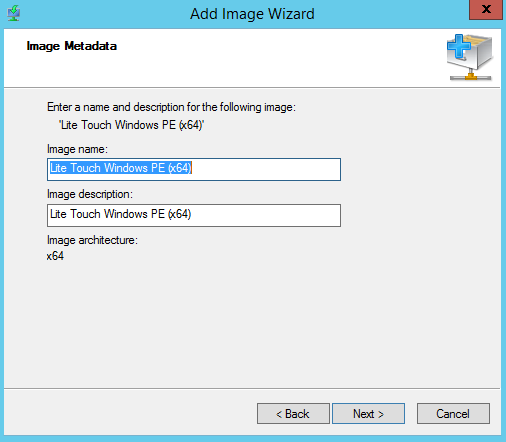 Obviously to have this working, you would need to integrate WDS in your arcite Directory. To achiveve what you are asking, you will need to be a little bit more creative….. There might be plenty of ways to achieve this. Another option (if you have brand new pc would be to keep boot order hardisk, pxe, cd….). 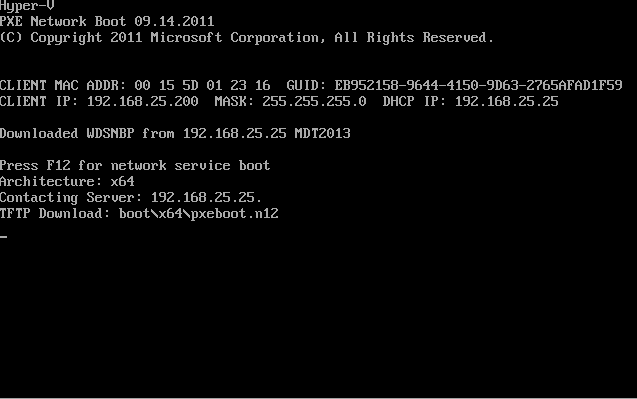 the first time it boots, it will boot to pxe the second time it will boot on disk. You could use the pxelinux.com and create a custom menu where the boot to disk is the first option…..
really nice and detailed how-to! 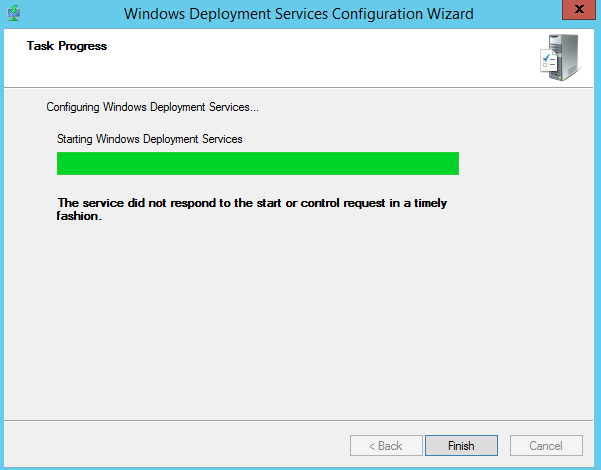 I’ve build a test environment for a standalone WDS-Server, but I get a failure, when i want to start WDS-Service. 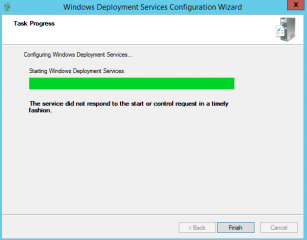 I get a runtime error, that the service doesn’t respond. Do you know any solution for this issue? How did you get the image to show? Where did you put it? If you look at the post and on the screeenshots, you will see that there is a file called test.png located in the RemoteInstall\boot folder. HI Griffon, Thank you for sharing your wealth of knowledge with the MDT community, its been very helpful to many of us who are new to MDT. In my case I am from the old Autounattend.xml and batch file automation era. 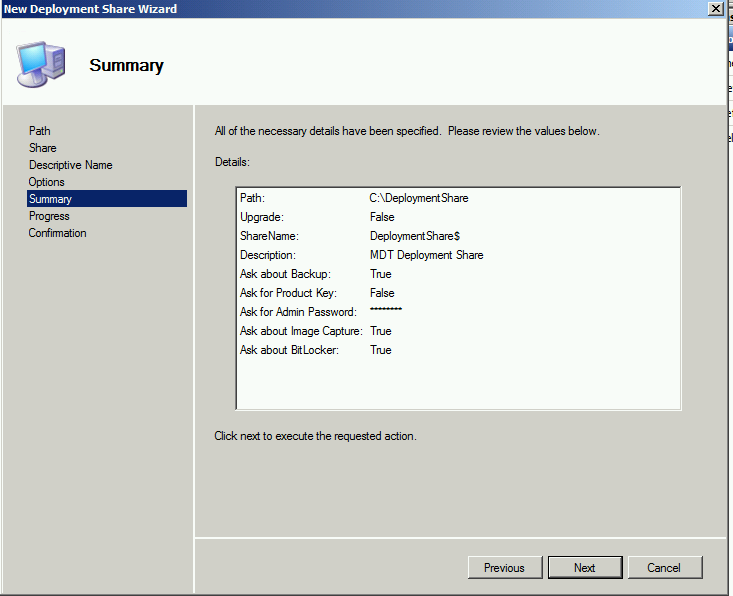 At present I have been using a simple standalone virtual FreeNAS VM which I have configured with a CIFS SMB share to host all my boot floppies, batch and OS/Applications distribution files etc. I also have TFTP configured on it for enabling Linux kickstart deployments that I do for VMware ESXi and Linux distros etc. 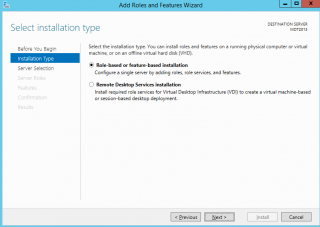 I would like to build a MDT server and port the above setup for using as my virtual training lab, but I am not quite sure how a standalone MDT server can be configured to deploy virtual machines into a LAB domain. I gather this should be possible by adding the below into the CS.ini file? 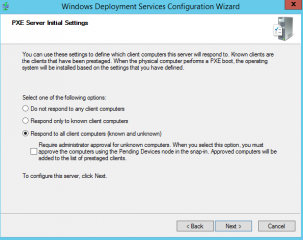 Would the above setup work for deploying machines into my LAB domain using a standalone MDT server? If not how can this be achieved. 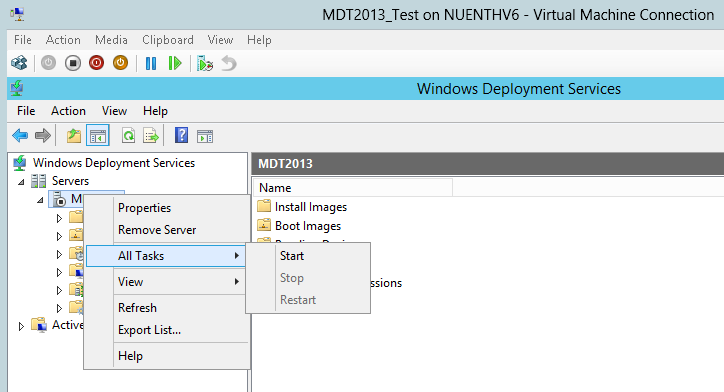 If you check our MDT section, we always prefer to have a standalone MDT installation because it’s portable and can be used anywhere. As I said, this should be working…..
Hey Griffon! Thanks for your quick reply. 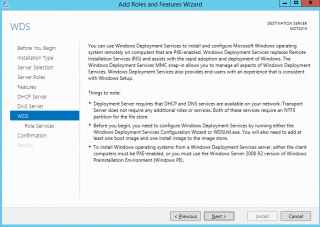 I will go ahead and try and build the standalone MDT2013 server and report back. 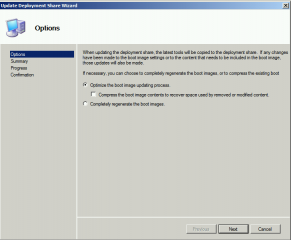 Hey I like you blog helped me a lot, I wanted to ask a question regarding the deployment of applications one the applications have been imported and the task sequences have been created does the application automatically deploy to the captured image ? Many Thanks for wrote this article. 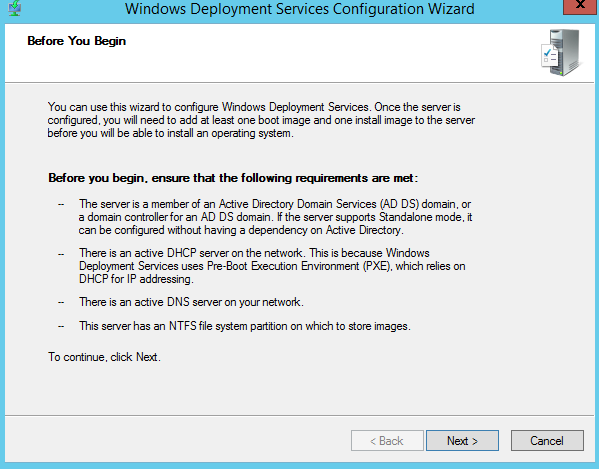 This confirmed that I have done correct steps for getting PXE boot with WDS by generate MDT. 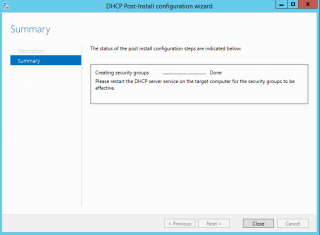 I am looking for instructions regarding to create ComputerSetting in MDT Database and then create DHCP Filter and Reservation IP as well. Do you have any idea? Your message was marked as spam…. 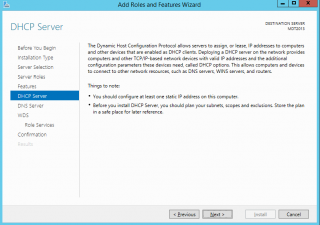 Do I have to set up a static IP for the server? First of all, I want to thank you for the incredibly helpful explanation. 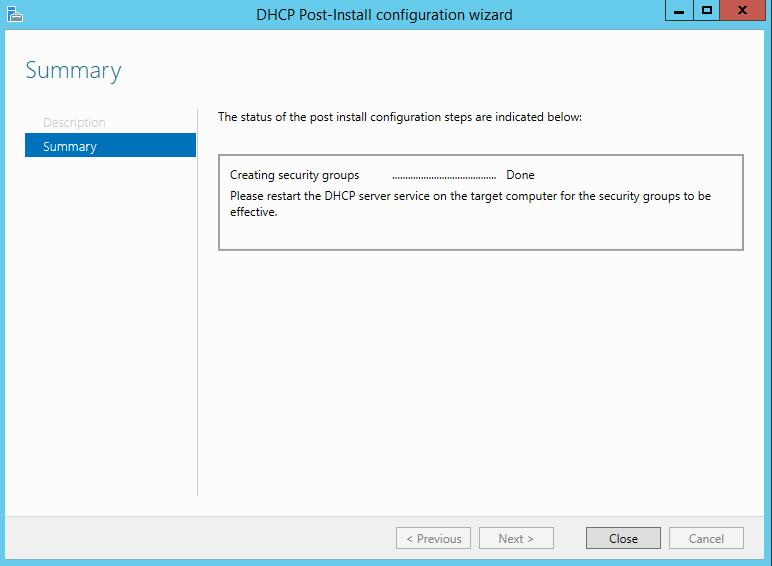 I’ve been busy installing a deployment server at work, and thanks to your help in the blog, I’ve been able to install it. Now, however, I have a problem where I hope that you or others can help me with this. If I continue booting without checking the digital signature, I will only get a black screen and nothing will happen. Do you perhaps know why this is happening? 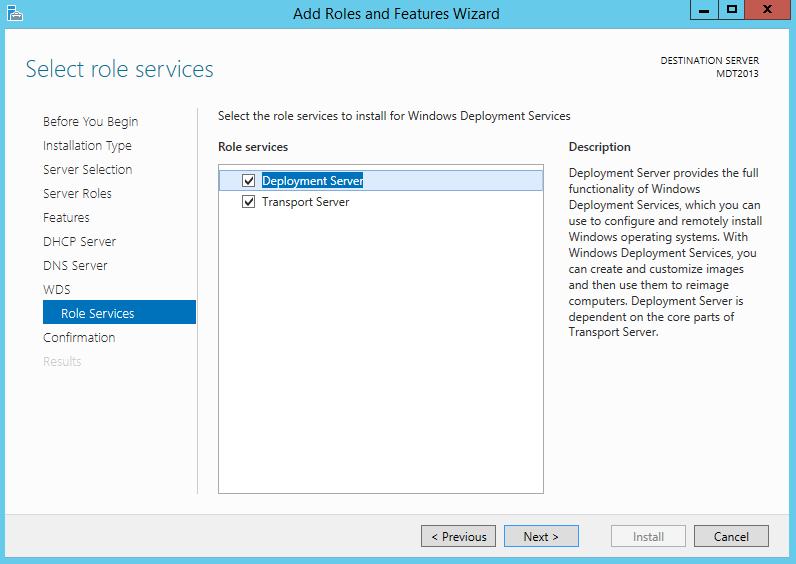 Shall I disable the drivers? thanks for the suggestion. Indeed, there was something wrong with the wim file.